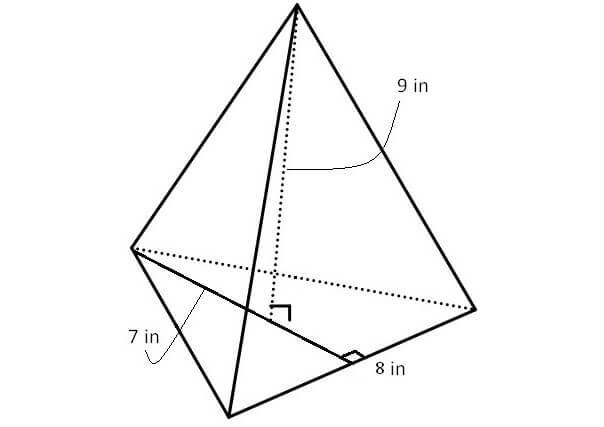 Modeling volume worksheets are much useful to the students who would like to practice problems on 3-D shapes such as cubes, cuboids, prisms and pyramids. 1) Find the volume of the cuboid given below. 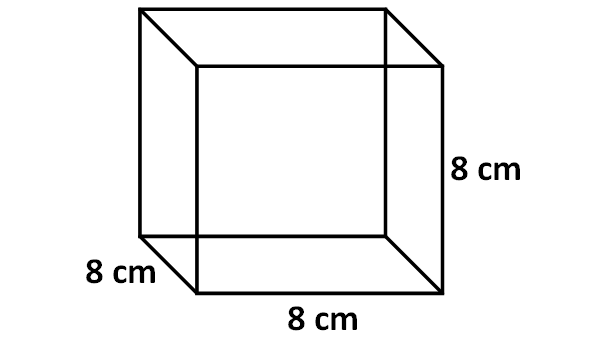 2) Find the volume of the cube given below. 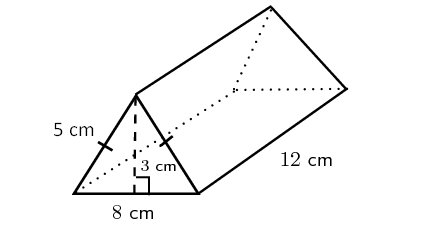 3) Find the volume of the triangular prism given below. 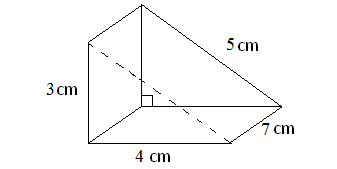 4) Find the volume of the triangular prism given below. 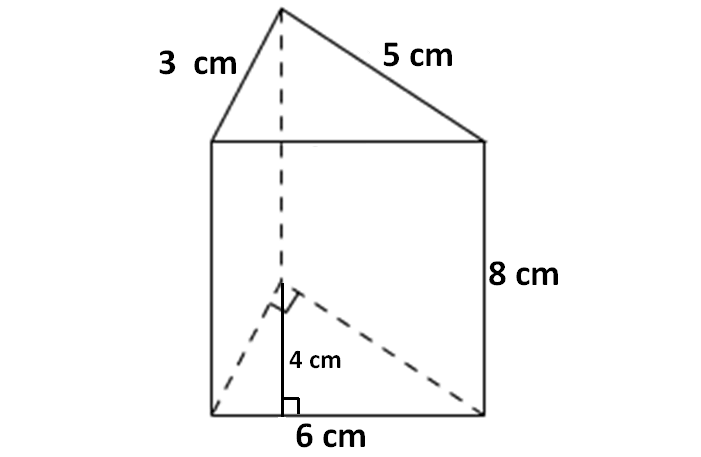 5) Find the volume of the triangular prism given below. 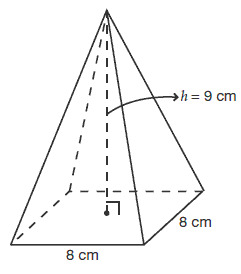 6) Find the volume of the pyramid given below. 7) Find the volume of the pyramid given below. 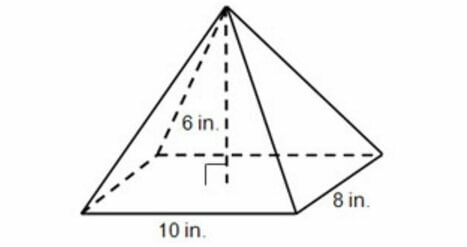 8) Find the volume of the pyramid given below. Find the volume of the cuboid given below. Here, the base is a rectangle and all the side walls are also rectangles. Here, the base is a rectangle with length 12 cm and width 4 cm. Let us look at the next problem on "Modeling volume worksheets"
Find the volume of the cube given below. Here, the base is a square and all the side walls are also squares. Here, the base is a square with side length of 8 cm. Find the volume of the triangular prism given below. Here, the base is a rectangle, two of the side walls are triangles and other two side walls are rectangles. Here, the base is a rectangle with length 7 cm and width is 4 cm. Here, the base is a rectangle with length 12 cm and width is 8 cm. Here, the base is a triangle, and all the side walls are rectangles. Here, the base is a triangle with base 6 cm and height 4 cm. Find the volume of the pyramid given below. Here, the base is a square with side length 8 cm. Here, the base is a rectangle with side length 10 inches and width 8 inches. Here, the base is a triangle with height 7 inches and base 8 inches. After having gone through the stuff given above, we hope that the students would have understood "Modeling volume worksheets".